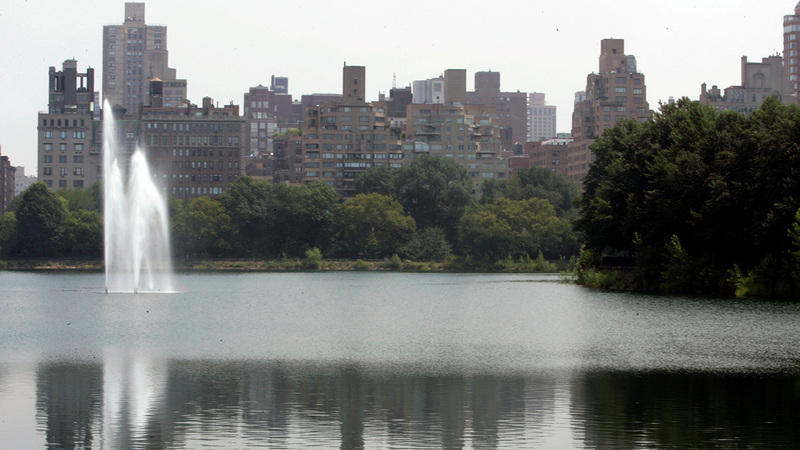 UPPER EAST SIDE, Manhattan (WABC) -- A body was found in the water at the Jacqueline Kennedy Onassis Reservoir in New York City's Central Park Tuesday, police said. The body of a male was discovered by maintenance workers near East 87th Street and East Drive around 12:30 p.m. It was floating face down in the water. Police said the body appeared to have been in the water for an extended period of time, and had begun the process of decomposition. Police added that the man was naked because most of his clothes had rotted away. There were no visible signs of trauma, police said. Investigators are unsure as to why the body surfaced at this time, since it had been in the reservoir for a long time. The Medical Examiner will work to identify the body. The reservoir is about a half-mile long and up to 40 feet deep. It's surrounded by a running track and a 4-foot-high ornamental fence. According to the park's website, the reservoir was decommissioned in 1993. The city named the reservoir for the former first lady in 1994 after her death. There are no arrests, and the investigation is ongoing.